Continuing on with my busy busy sewing and knitting. 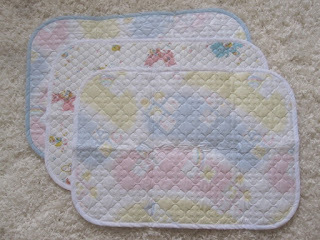 I forgot to take photos of the first set of change pads I made so here's the second set. 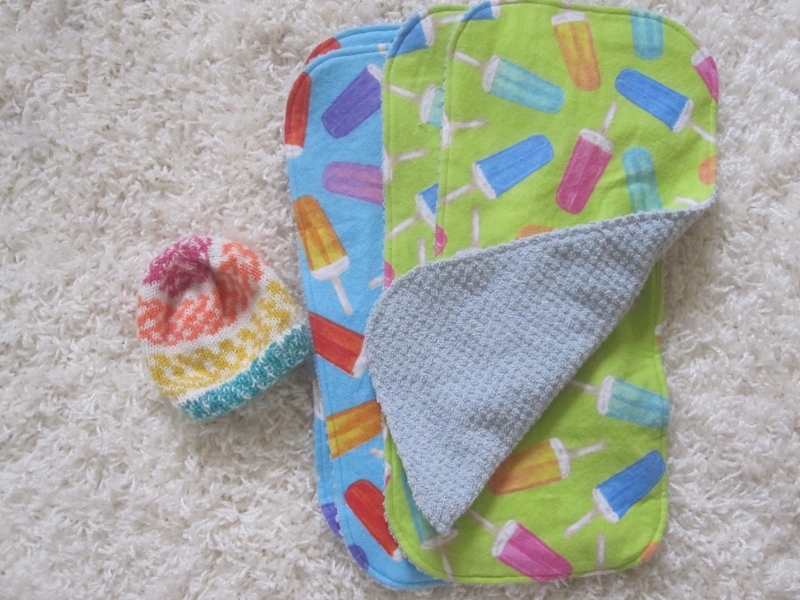 More burp cloths and another hat. The ice cream flannel was leftover pieces from pajamas I made for my two oldest grandchildren. 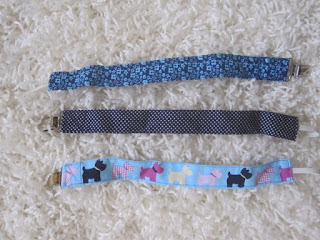 Soother clips. These take very little fabric. Fat quarters came in handy. 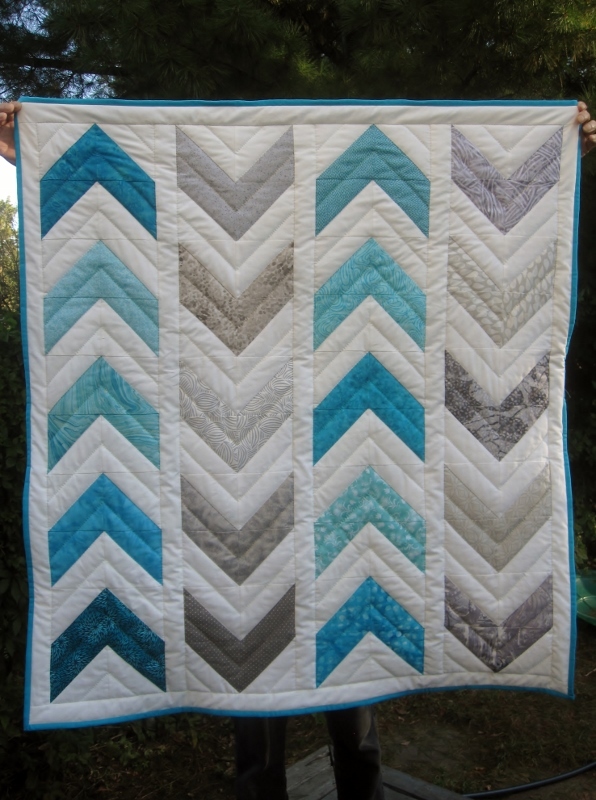 The second quilt I made. Same pattern as the first just a different colour combination. It's been an absolute joy to create these items. I have more things to make but they shall be for Christmas. As always, stellar work! Lucky kids and babies. I agree, huge delight in making and seeing them given to one or two lucky babies. Lovely colours in every one. 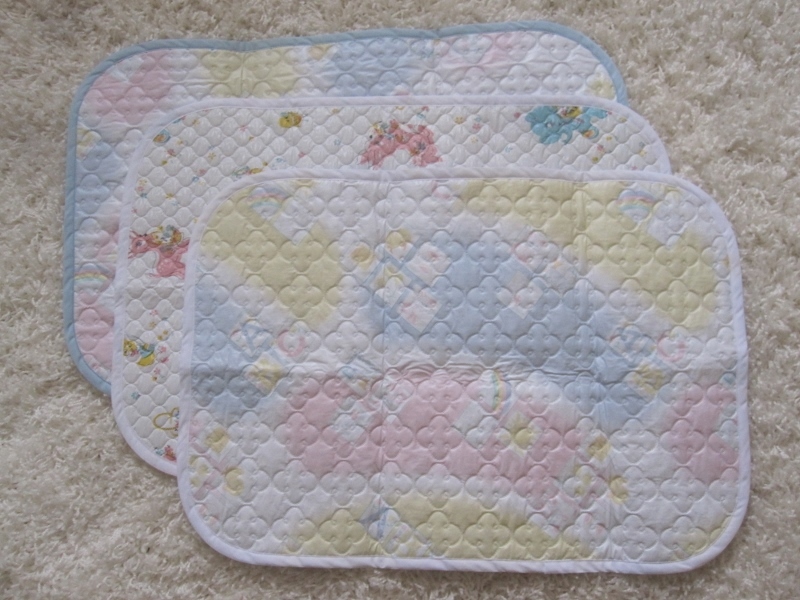 Pretty sets of such useful things the babies and their mothers will appreciate. What beautiful things! The colours are so pretty and everything looks so neat! Lovely work. Making baby things has to be the best fun! Love the chevron quilt. 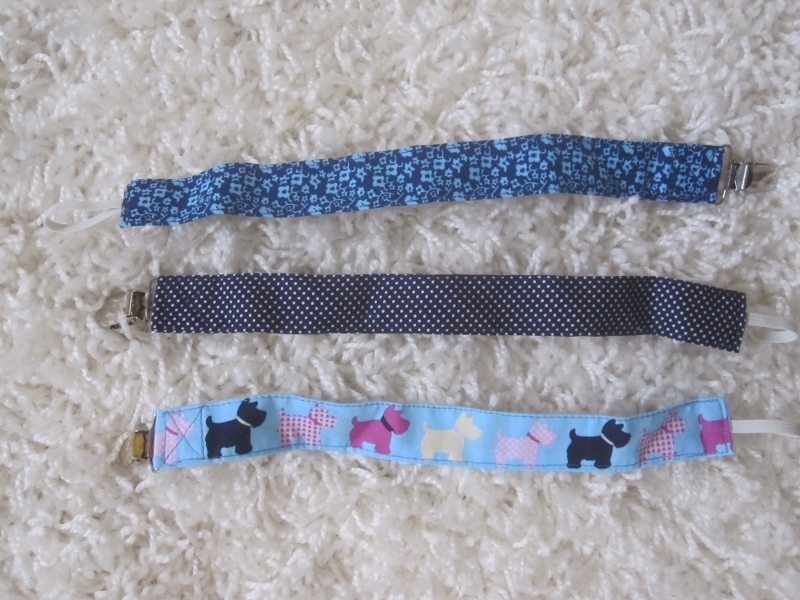 Gorgeous baby things - you always make the prettiest gifts!